Trailer for the new Beach Hut Art Quilt DVD. This DVD will be launched in November at the Quilt Festival in Houston, Texas. The DVD will be available both on the New English Quilter stand at the Houston show and from this website. 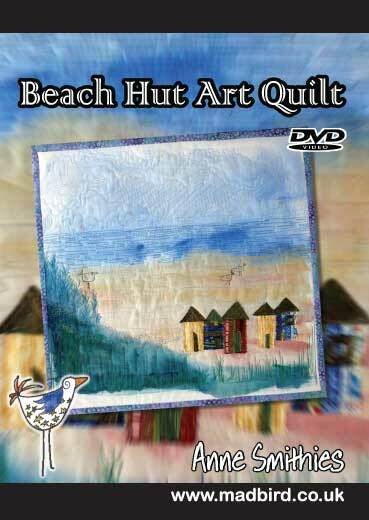 If you want to learn how to create your own art quilt from fabric through painting and stitching to finishing and hanging this DVD takes you step by step to complete your own wallhanging art quilt. My aim is to unpack the complexities of creating art quilts and help anyone access the process and project while being inspired and encouraged to ‘just have a go’. Great stuff Anne, your inspriational and so full of talent. Love it. Good luck with the DVD.